Over the Christmas holidays I had some time off and was given the opportunity to play with some Silhouette files designed by the very talented Juliana Michaels. It had been a while since I had actually sat down and created something for myself, so I was very excited to play. I dug into my photos and found some old ones that I really wanted to scrapbook! I also had some brand new papers from the Bo Bunny Woodland Winter collection. The first project I made was a photo tray. I have picked up a few of these trays over the years with the intension of making them, but never really got around to it. I used one photo and cut it in half to put it in 2 different sections. I love how this turned out. 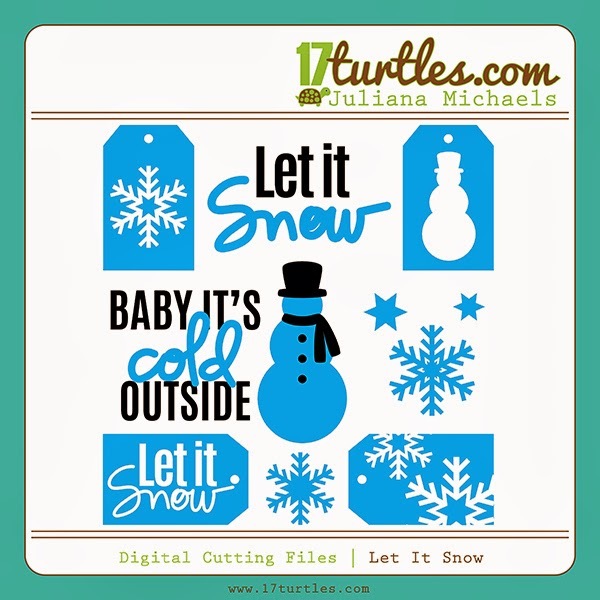 I used the 'Let it Snow' die-cut and sized it down to fit on top of my photos. I used the 'Baby it's Cold Outside' file for the main title on my tray. It really wasn't that cold outside....as you can see, Jason is not even wearing a coat. It was March and the sun was shining. The snowman file is my favourite. He is so simple but just perfect to add some stitching and a few embellishments to to jazz him up. I also used one of the snowflakes and using the welding function on my Silhouette, I created a border for the center of my tray!! My next project is a single layout using some more of the photos that I found in my stash!! Like I said before, it had been a while since I have really scrapbooked so I wondered if I even rememberd how. Working with these files made it really easy to put this page together!!! I just loved the 'Let it Snow' title and I wanted it to really stand out on my page. I created a couple of mats to layer behind the title and then added a chipboard snowflake for an accent! The tags are lots of fun to work with too. I layered this one with brown and set an eyelet and added some twine. I found some sequins that matched and added a little sparkle. I also had some snowflake embellishments from Jolie's that worked really well with my papers and the files, so I added one of them to my layout as well. I did my journaling using my sketch pens and my Silhouette! There is just no other way to do it. There are so many great fonts and you can place it wherever you want. For my final project I created this sweet snowman card. I embossed the background with a snowflake embossing folder. I added sequins for the snowman's buttons and a carrot button for his nose. I inserted the 'Let it Snow' phrase into a speech bubble and then backed it with some matching blue paper. Thank you so much for stopping by and visiting my blog. I had a wonderful time working with these files and I hope I have inspired you. Be sure to visit Juliana's blog and you can download these files for yourself. I am so excited to share a little sneak peek for a project that I am working on! I can't really give any details, but the rest will be coming soon. I can tell you that I have been playing with my Silhouette and working with some really great files from Juliana Michaels!